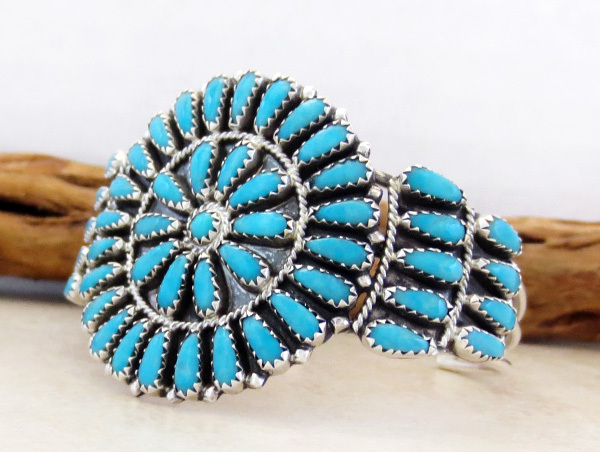 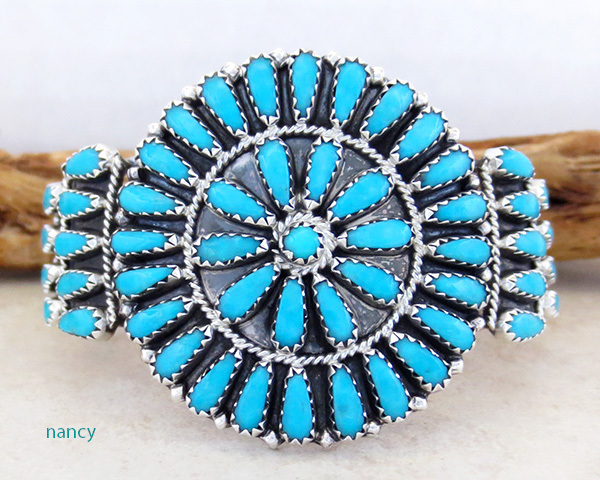 This fabulous handcrafted cluster bracelet was made by Navajo Artist Zeita Begay. 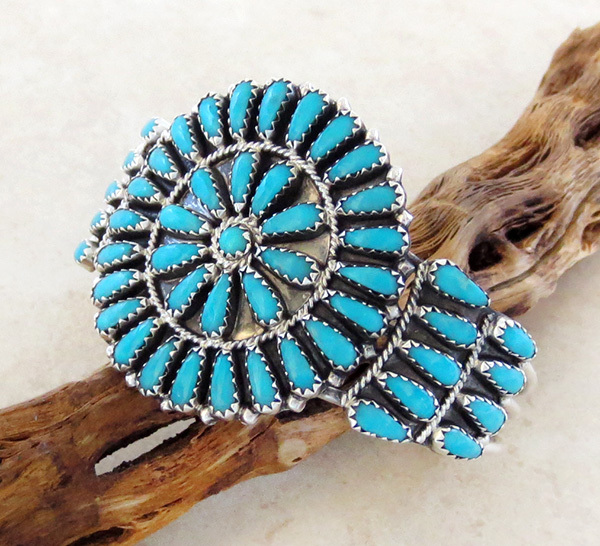 There are 53 blue turquoise stones, if I counted right, each set in a serrated bezel. 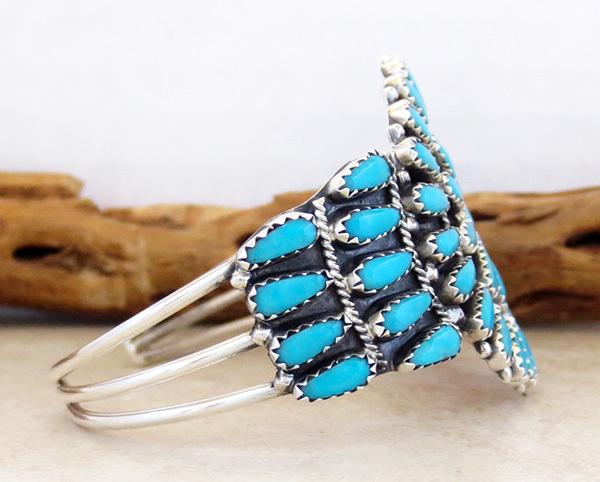 There's applied twisted silver wire as well as silver raindrop beads surrounding the center piece. 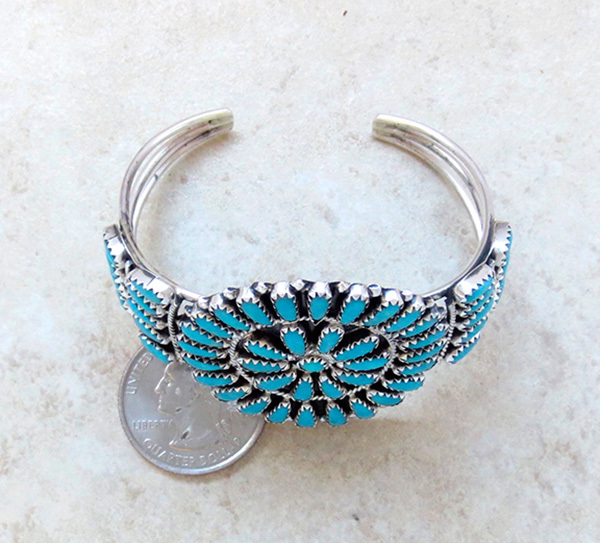 For the smaller 5 1/2" wrist, you don't want to adjust this one. 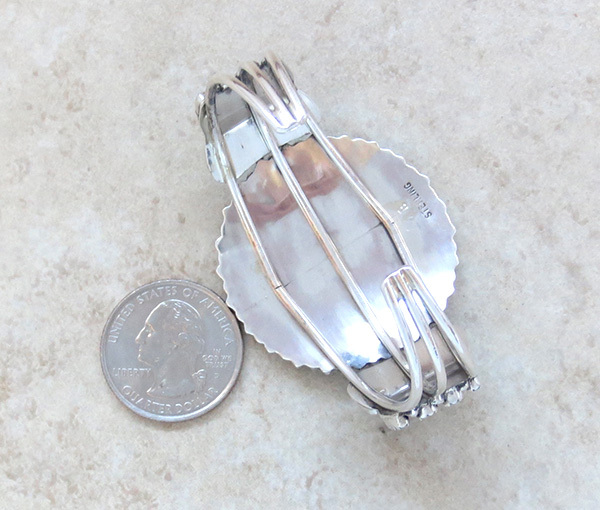 It has an inside of about 5 1/4" plus a gap 7/8"
It's 1 1/2" tall in the front.